Biomedical research claims high importance in understanding and accelerating the medical research and associated subjects. Considering the importance of human health and several emergency medical and clinical issues associated with it, prime attention towards biomedical research is of great significance. Thus, asserting the requirement of a common and enriched information sharing platform. Biomedical research is such unique platform to collect and disseminate state-of-the-art scientific understanding on biomedicine and related discipline. This multidisciplinary open access journal is rendering a global podium for the academicians, researchers and students of the relevant disciplines to share their scientific excellence in the form of an original research article, review article, case reports, short communication etc. The objective of the journal is to provide a scientific communication medium to discuss the utmost advancements in the domain of biomedical sciences. 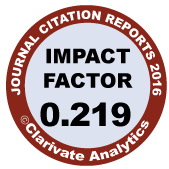 This journal aims to assemble and reserve precise, specific, detailed data on this immensely important subject. Biomedical Research is an interdisci¬plinary Research Journal for publication of original research work in all major disciplines of Basic and Clinical Medical Sciences. 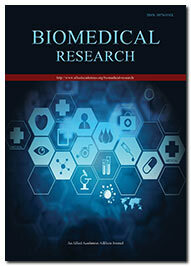 Invited and submitted review articles on current topics will also be included. Doctors are encouraged to contribute interesting case reports.